The ISP division of Fusion Network Services Corporation, FUSION GOL, (HO: Chiyoda-ku, Tokyo; CEO: Hiromi Imakoga) announced today, March 16, a new website development service by professional designers in English. FUSION GOL had already been providing website development services since last September, but now will be expanding service to cover the international population of Japan with support in English. Prices start from 57,750 yen for websites in English only, and from 115,500 yen for bilingual websites in both English and Japanese. For websites already made with the FUSION GOL, creating a new English website from the existing Japanese website (or vice versa) can be done starting at 57,750 yen. 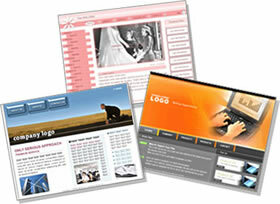 There is an increasing demand in business for companies to have websites. However, website development is not easy to accomplish just within the existing company resources. Developing a website can cause tediousness and requires much time to be devoted. The "Easy Order Plan" is offered for customers signed up for the Web Hosting Package Service and will be a powerful aid to website development. With only the simple and easy steps of selecting the website's design that best suits your business style from a selection of 10 templates and then placing the order, a homepage will be created for you. All you have to do is just wait. A website designed by professionals not only looks good, but will also give a better image of your company. Having a bilingual homepage can also support your business to go global. This hosting service provides you large web storage and mail features all in one package. Monthly fees start from 2,800 yen (2,940w/tax) for the Basic Plan optimal for the SOHO. It offers flexibility, scalability, and a fully customizable list of features. SPAM Filtering and Virus Checking are standard features of this package. Graphical reports of your website can also be quickly generated by the access log tool "Urchin." In addition, out experienced bilingual support team will back you up even after implementation of the service. In accordance with Fusion's concept of "Everything over IP", FUSION GOL provides broadband services offering a wide variety of benefits. Technological innovation and bilingual support by our international staff is what sustains our reputation as a trustworthy ISP. Refer to http://www.gol.com/en/biz/ for details.